Leaves are lance-shaped and can be up to 15.24cm (6in) long. Catkins appear at the same time as leaves. Found in moist soils near water sources. 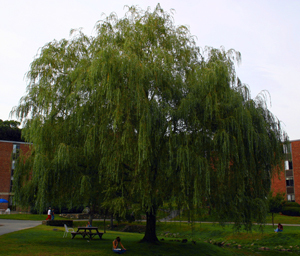 Native to China, willows are often grown as ornamental trees, though they are occasionally found in the wild. Bark used in China for treatment of arthritis, jaundice, and fever. 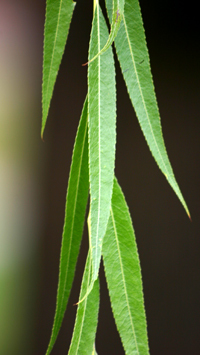 Leaves used to reduce fever, treat skin problems, and to treat toothache. Most willows contain salicin, a key compound in aspirin, and tannins.